Join us on Christmas morning as we celebrate the birth of Jesus! Kids’ activity packs will be available in church, and you can take advantage of our Parents Room and overflow in C.B. Howard Hall. The sermon will be the same as the one preached at our Christmas Eve Communion Gathering. 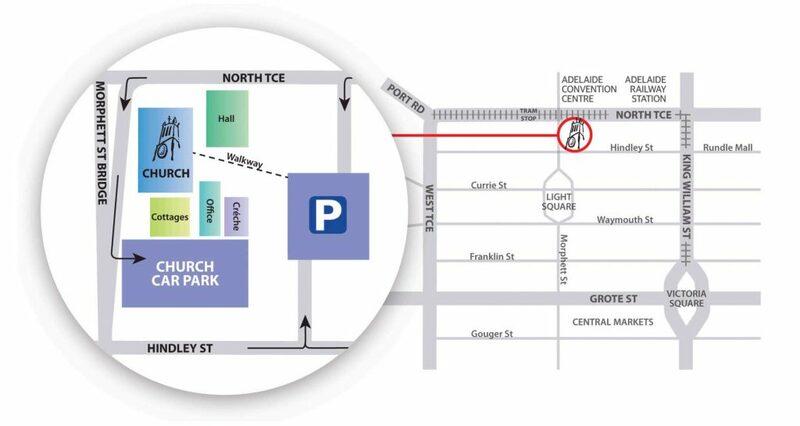 Free car parking is available in our church car park (enter from the Morphett Street slip lane), or if the church car park is full, you can park nearby at Secure Parking North Terrace. You’ll be able to purchase a discounted $3 Secure Parking ticket at our Christmas events which you can use to exit the car park.